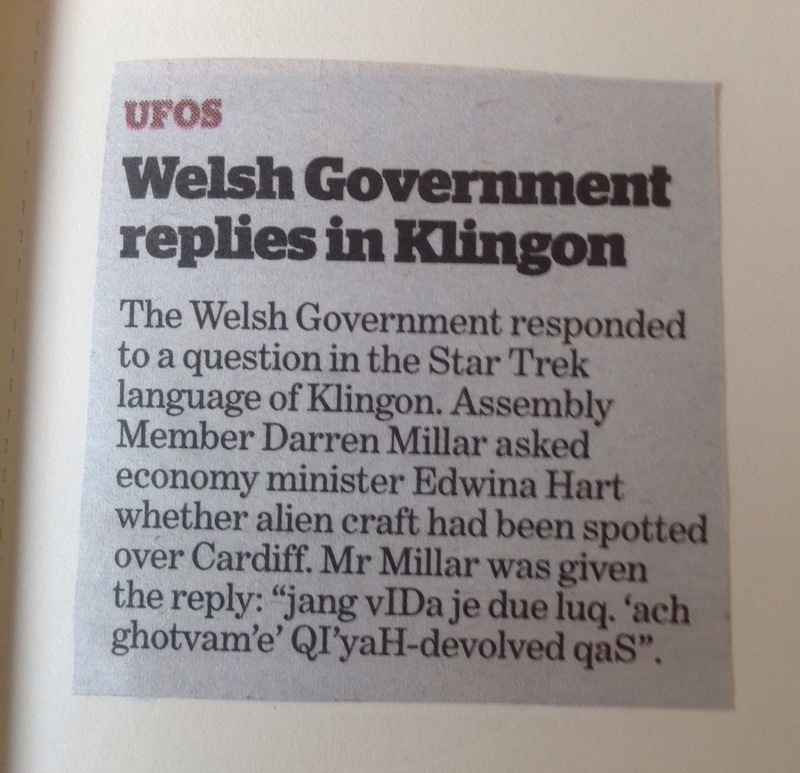 That’s easy for you to say . . . .
You see, if you can speak Welsh, Klingon is a walk in the park . . . .